It is a well-known fact that some of the best vineyards are located in Italy. 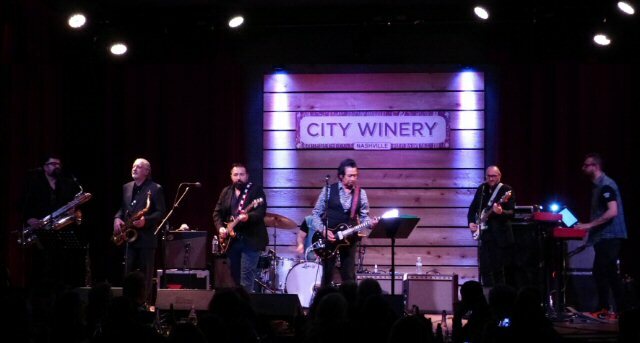 So, it's no coincidence that singer/songwriter Alejandro Escovedo brought a group made up of mostly Italian nationals to his show at the City Winery in Nashville, Tennessee on January 11, 2019. 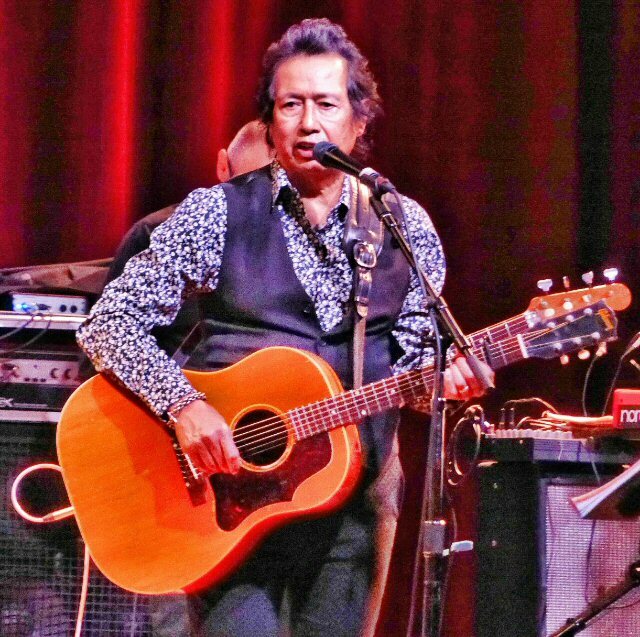 Alejandro Escovedo and Don Antonio return to Nashville. Escovedo met Don Antonio a few years ago when Alejandro was in Europe in search of a backing band. Don Antonio, a seasoned, all-instrumental band from Modigliana in the northern Italian province of Emilia-Romagna, came highly recommended, but Alejandro wasn't so sure at first. "They didn't look like a rock and roll band," he says. Then he started asking around. Their reputation sealed the deal. "Turns out they'd played with all my friends - Dan Stuart, Howe Gelb, Steve Wynn. Everybody knew them. Apparently, at one time or another, everybody toured with them as a band, made friends with them, or played the festival they put on every year." In time they fermented nicely discovering a good blend of musical flavors so they decided to write an album together and one would have to think that a story about two young boys (an Italian and a Mexican) who meet in South Texas is partially autobiographical. The 17 song suite comprising The Crossing tells the tale of the friends coming of age while searching, but not necessarily finding their dreams of rock and roll in America. Instead they encounter racism and rejection as told in sweeping orchestral and classic rock numbers punctuated by 70s punk. This collection finds Escovedo delving further into his lifelong musical journey that has traversed alternative country, Americana, punk, rock and roots. The Crossing is considered his most sonically diverse work to date. Birthday boy Alejandro Escovedo had reason to celebrate at the City Winery. "This says more about me than any of my records without it being a record about me," shares Alejandro. The Crossing features cameos from Wayne Kramer of the MC5 and James Williamson of The Stooges. Additional guests include Peter Perrett plus John Perry from the UK cult band The Only Ones, recording together for the first time since 1980. Joe Ely is featured on both his own tune, "Silver City," along with the title track. "Rio Navidad" - a spoken word piece about a Texan ranger which was written by novelist/bandleader Willy Vlautin, and read by his bandmate Freddy Trujillo from Richmond Fontaine and The Delines. As is the custom at the up-scale City Winery, patrons were reminded that this is a listening room. The Don Antonio Band with a horn section took the stage first. The talented Italians presented a mostly instrumental set that reflected their influences such as regional folk music melded with rock. Their bold blends were expansive and spiked with succulent solos. They played a love song that ran the range from a sweet ballad to a stirring heartbreaker but ended with the hope that love returns in another form. The Don Antonio Band closed their engaging set with a tribute to twist music. After a short break they were back now with Alejandro Escovedo armed with a guitar. After a pretty prelude Alejandro talked about The Crossing and the collaboration. They proceeded to present pieces from the potent platter. Highlights included the tense and truthful "Teenage Luggage", a winning "Waiting For Me", "MC Overload" and later a singular "Silver City" for Joe Ely who Alejandro called a mentor. Don Antonio is an in-demand artist and backing band of the same name. Escovedo in addition to playing present material gave a nod to his past. The still catchy "Castanets" was a crowd pleaser as was "Sensitive Boys". They also performed a number of colorful covers such as "Search and Destroy" (The Stooges), "Another Girl Another Planet" and the closer - David Bowie's "All The Young Dudes". Alejandro mentioned that Bowie was a fellow Capricorn which was funny as the 11th was Escovedo's birthday, so the band and fans sang "Happy Birthday" to him during the show. Another bonus on Thursday night was the appearance of Cheetah Chrome from the Dead Boys who added even more punch to the prose. Crossing borders, jumping barriers, taking risks, betting it all: that's the path Alejandro Escovedo has taken through his art. The Crossing is a culmination of his experiences paired with the perspectives of the Don Antonio Band who taught Alejandro some of the European history that mirrors the migration patterns of North America. Together they are telling the truths of these ongoing struggles in context of modern times and touring in early 2019 in support of the compelling The Crossing. 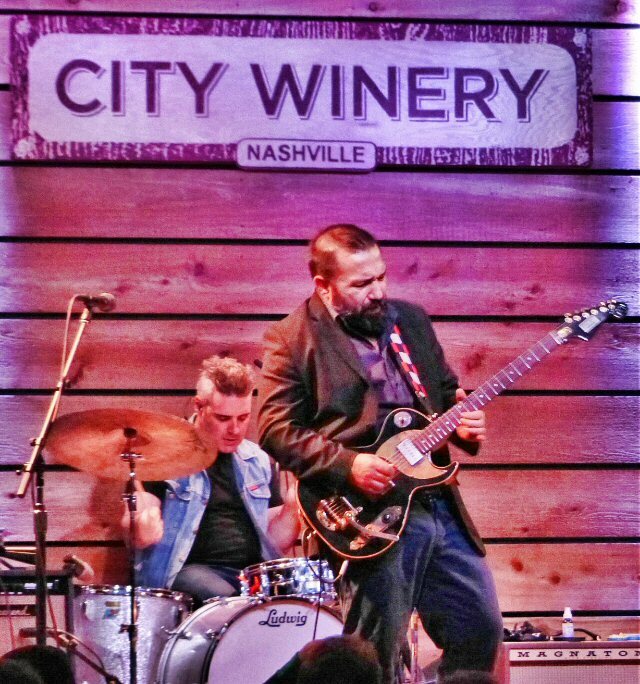 The City Winery in Nashville continues to host a full-body of artists such as Alejandro Escovedo. In addition to great music patrons can enjoy fine food and drinks pre-show. Upcoming events at the venue included the James House Band, Steve Earle, Ruthie Foster, Cabaret, Ron Pope, a benefit concert featuring John Oates and more. 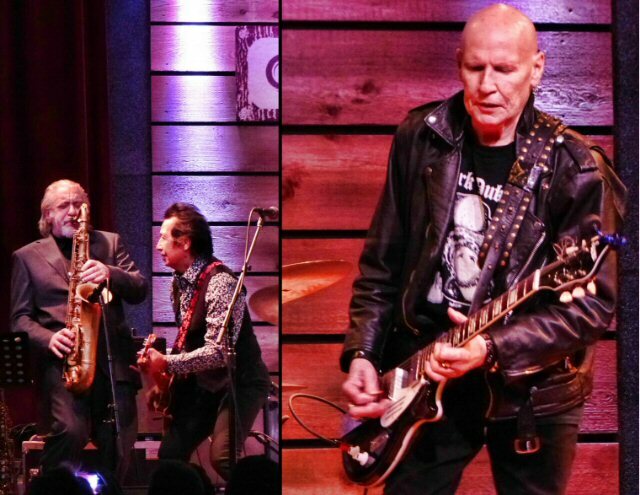 Cheetah Chrome from the Dead Boys added life to the party.